We met in the hotel lobby at 10.30am. Today we were driving to a gig in a small town call Annapolis – not far from the PRS guitar factory. Two days previous Winn Krozack, the head of artist relations at PRS, had contacted me saying that he’d like to give me a tour of the factory and have me try out some of their guitars – how could I turn down an offer like that? 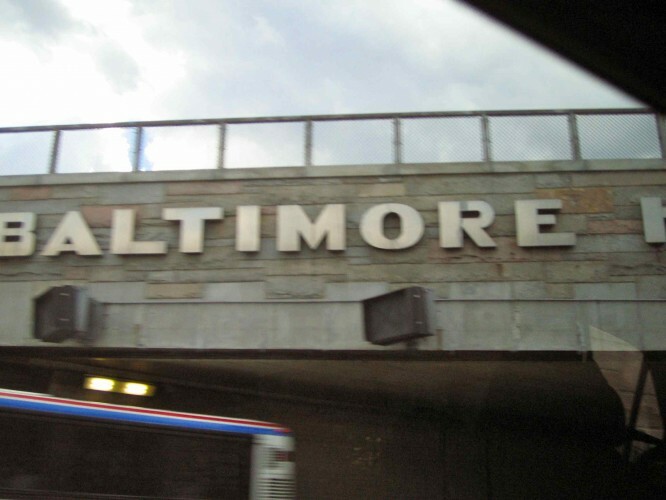 The drive to Annapolis took us through Baltimore (birth place of Frank Zappa). 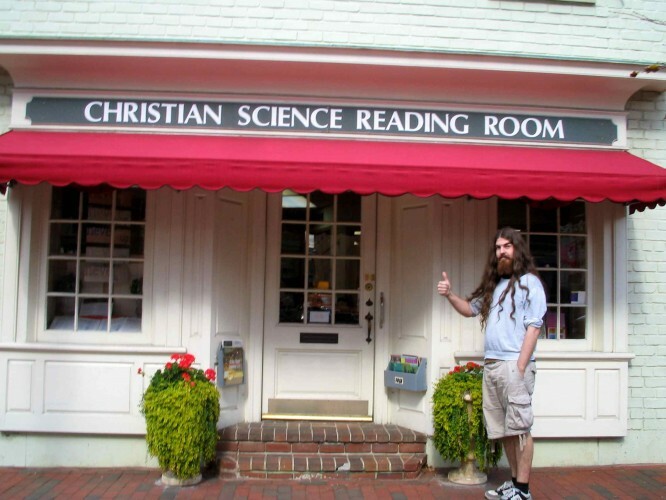 When we arrived in Annapolis, Simon checked out the literature at the local Christian Science Reading Room and we had lunch in the tavern which was attached to that evening’s venue. 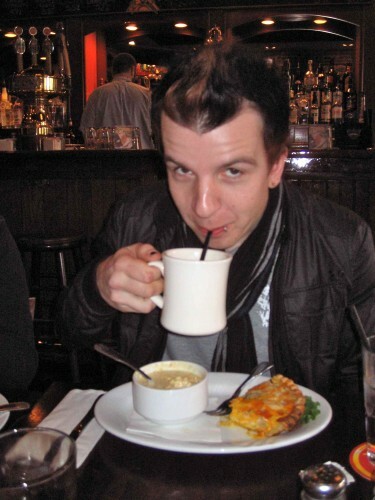 As has been the case in a lot places we’ve stopped at during the tour, Josh’s cup of coffee arrived with a straw – a nice touch. When we’d finished lunch we went outside the tavern and found Winn from PRS waiting for us. I got into his pickup truck and we arranged to be back in time to sound check at 4.30pm. On the way he told me that he’d just done a gig at the house of the Vice President of the United States that morning – impressive stuff. Winn was a really nice guy – we talked all the journey about what he did at PRS and about the recording studio that he’d built on his boat. When we reached the PRS factory I wasn’t quite prepared for how impressive the place was going to be. The first thing Winn showed me was a wood store room – full of the most beautiful pieces of wood I’ve ever seen. He showed me one piece that, when he tapped it one side, rang the clearest, most resonant sound I’ve heard from a lump of wood. Then he tapped the other side of the wood and it gave the same ringing quality but with a different pitch (presumably as the piece was wider than it was thick). I can only imagine what a guitar made of that wood would sound like. Winn also showed me some wood that came from the same forest that Stradivarius used to make his violins – wow! I asked Winn if I could take some photos so I could post them here for you to see. Unfortunately, in order to protect trade secrets, no photos were aloud. Next Winn took me down to the workshop – he showed me all the different stages of production, from carving the bodies to the final finishing and wiring. What really struck me was just how much care, attention to detail and love each guitar received. I got the impression that each guitar had to be perfect before it left each stage of the production line. Winn also showed me a room full of PRS amplifiers – they looked great with their paisley covering (apparently Dave Lee Roth had got a suit tailored out of the same material). Aside from PRS’s famous electric guitars, we saw their acoustic guitars; Winn explained how the bracing is designed for the optimum resonance and when I tried one it was obvious – these guitars are probably the best acoustics I’ve ever played. Then it was time to try some electrics. Unfortunately we didn’t have time to plug anything in, but I always think that it’s easier to hear the quality of an electric guitar if you play it unplugged. My clear favourite of the few guitars I tried was PRS’s DC3 – a single coil strat-type guitar. Again, I only played it unplugged, but as soon as I played it I could hear and feel its resonance – what an amazing guitar. My only regret was that we didn’t have time to try out more guitars – I saw an amazing looking guitar called the 513, a 5 pickup guitar that combines true single coils and humbuckers. However, we were pushed for time as I had to get back for our 4.30 soundcheck. After an amazing experience at what is best described as Willy Wonker’s chocolate factory for guitars Winn drove me back to Annapolis for our sound check. Tonight was going to be a mono-guitar gig; no room for two amps and only enough channels for one mic on the guitar. 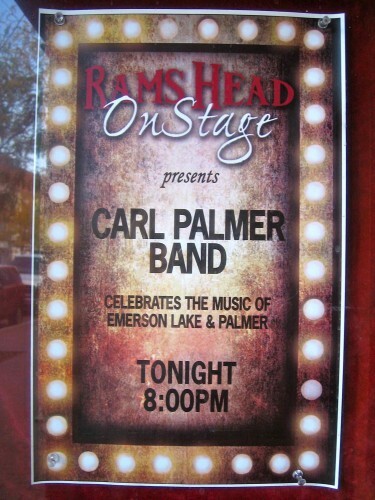 The gig was good and it was nice to see Winn and his wife there. After the gig we drove for around an hour to our next hotel. 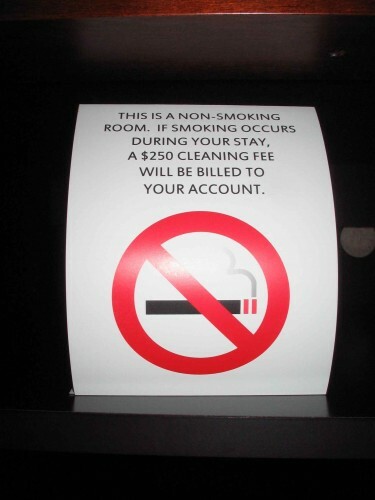 When I got in my hotel room I saw a sign saying that they’d issue a $250 cleaning bill if you decided to smoke… $250!!! What sort of cleaning are they going to do for $250?! !